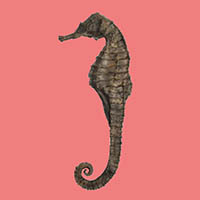 Seahorse is an album comprised of a piece for string orchestra (called “Seahorse”), composed for the unfortunately-now-defunct Magogo Chamber Orchestra, a string quartet (called “Dust To Dust”), composed for the not-defunct Quartet Quinetique, and a Nocturne, composed for bandoneonist Carel Kraayenhof, and a chamber orchestra (the fabulous Absolute Ensemble, conducted by Kristjan Järvi). I thank all three groups very much, and genuinely like this music. If you listen to it, thanks!